In the past month, I’ve had a lot of prison in my movies. Women’s Prison and Short Eyes both take place entirely in prison. Several parts of Fantomas are in prison. Innocence is an idyllic prison but a prison nonetheless, and Inside/Out is set in a prison-like atmosphere. And watching Empire was like being in prison. 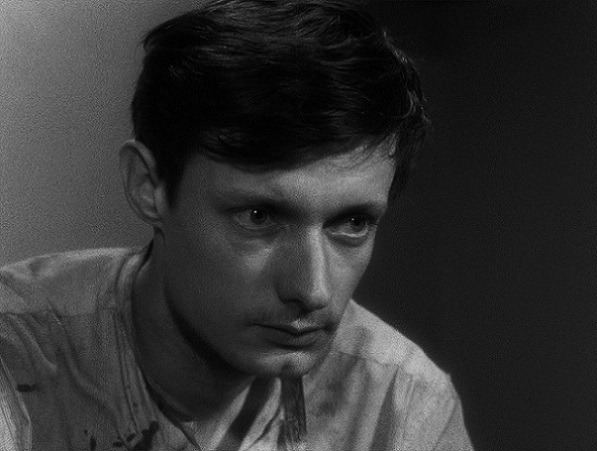 But the greatest prison movie of all — in my very humble opinion — is Robert Bresson’s A Man Escaped, which is also my favorite by that director. I had this film on a previous incarnation of my top 100 list. I reluctantly removed it on the last revision to make room for something else. On this revisit, I’m second-guessing that decision. Everything is stripped down to the barest elements. Nothing is superfluous. Every scene, every bit of narration, every sound, every glance tells us something about Fontaine, his situation, his thoughts. In the blankness of the presentation, the lack of adornments, we connect completely. We feel the confines of the cell. We feel the swelling of hope. We feel the repetition of routine. We feel the triumph of unexpected opportunities and the defeat of sudden setbacks. We struggle with the question of who to trust and who not to trust. We feel the fear of discovery. It is an entirely immersive and riveting experience, because it is so pure, so bare, so focused. It’s told in marvelous detail. Fontaine has extremely limited resources available to him, but capitalizes on every one. A shelf is used to look out the window. A spoon becomes a chisel when filed down on the concrete floor. The wire netting of his bed is used with scraps of fabric to make rope, and the frame of a compartment door makes the hooks. A pencil covers where he has been scraping away at the door frame. Bresson guides us carefully through every process, showing the physicality of each action. And then there’s his incredible use of sound. Every scrape of that spoon-chisel in the wood is a threat. We hear the muffled crack of glass being crushed in a blanket and wonder if that will be enough to alert a guard. The timing and relative volume of unseen footsteps tells us — as it does Fontaine — the proximity of danger. The gentle, soft tap-tap-tap on the wall as he tries to communicate with someone in the next cell. You can barely hear it, but you hear it just enough. This entry was posted on April 3, 2013 at 1:57 pm	and is filed under Movie Reviews. You can follow any responses to this entry through the RSS 2.0 feed. You can leave a response, or trackback from your own site.